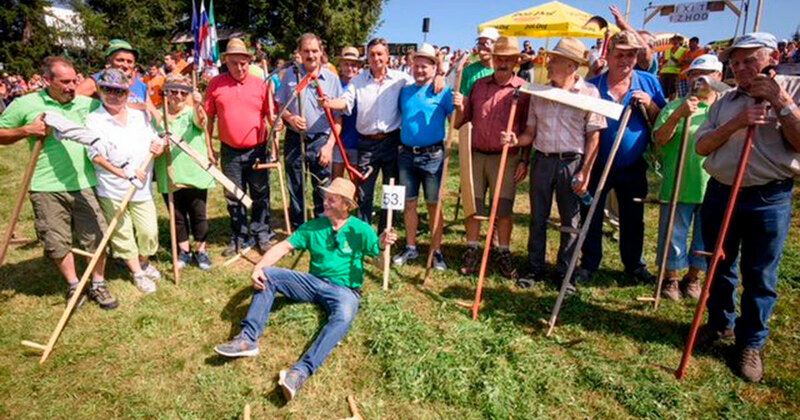 In the settlement of Cerkno (Primorska region), 570 people together with the President of the country Borut Pahor took part in the mowing of grass. For 15 minutes, each participant of this event had to mow the grass on a land plot of 4 m2. Every mower had to use his own shoes and equipment. 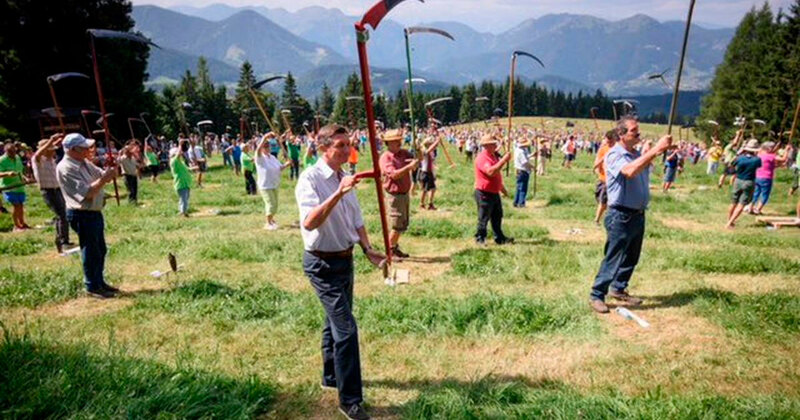 This achievement, co-authored by the current President of Slovenia, will enter the Guinness Book of Records as the largest number of haymakers, who in such a short period of time simultaneously and successfully mowed grass on flat terrain. The event was organised by the Škofja Loka Society of Rural Youths within the framework of the project with a popular name “Košna u snežet”. Borut Pahor praised the organisers and noted the diligence of young farmers participating in the campaign. Representatives of three generations actively participated in mowing grass. The youngest participant of the event was 16 years old, while the oldest person was 88 years old. The event became international, as guests from South Africa, Great Britain and Poland took part in it.